Why would I need self storage in Kingwood, TX? There are a variety of reasons why you might need self-storage in Kingwood, TX. How much is a storage unit in Kingwood, TX? The cheapest storage unit in Kingwood, TX is $16.00 per month. What size storage units do you have available in Kingwood, TX? In Kingwood, TX we have sizes that range from 5'x5' to 10'x45' to suit your storage needs. How much is it for a 5'x5' storage unit in Kingwood, TX? The cheapest 5'x5' storage unit in Kingwood, TX is $30.00 per month. 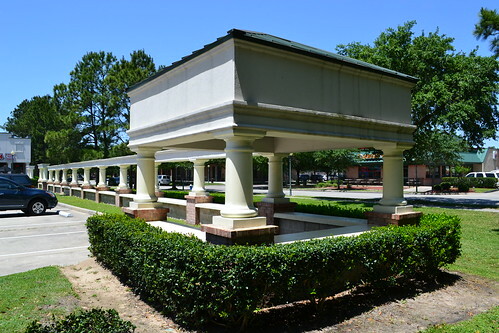 Kingwood is a large master-planned community in southeastern Texas, located in the northeastern corner of Houston. It spans 14,000 acres and is nicknamed "The Livable Forest" for its scenic natural setting. Many people come to Kingwood because they want to participate in its diverse economy, which includes several flourishing commercial and industrial sectors. Kingwood was once home to King Ranch and the Foster Lumber Co., two major presences in the history of American industry and farming. Founded in 1853, King Ranch is known as the birthplace of American ranching and is one of the oldest ranches in the United States. Land for the Kingwood community was acquired through a venture between King Ranch, Foster Lumber Co. and the Friendswood Development Co., which wanted to turn the land into a master-planned community. A 14,000-acre tract was sold to the developer in 1967, and the first homes were sold a few years later. While Kingwood is a Houston neighborhood, the city tried to maintain its independence throughout the annexation process. However, Houston prevailed and gained control of the community in 1996. One of the biggest advantages of living in Kingwood is its diverse economy, which provides a wide range of jobs in many industries. The unemployment rate is also low and job growth is above the national average. Among the most common jobs in Kingwood are sales and administrative support roles, followed closely by businesses, management and finance-related positions. Insperity, a large human resources company, is headquarted in Kingwood, supplying many local jobs. If you can't find a job that fits your needs in Kingwood, you can easily commute to downtown Houston for work. The Humble Independent School District oversees the majority of public elementary, middle and high schools in the area. It also has three additional campuses that offer specialized educational services, including Quest High School, a magnet school in nearby Atascocita. Some Kingswood schools fall within the boundaries of the New Caney Independent School District. There are also several private schools in the city, including faith-based and Montessori campuses. Utilities: CenterPoint and Entergy are the primary energy providers in Kingwood, but you'll have the freedom to choose your specific electricity vendor from a list of private companies. Garbage and Recycling: Curbside collection services are provided for most single-family homes in Kingwood. Your specific collection schedule is assigned based on your home's location. Transportation: The METRO public transit system offers a convenient option for getting around the greater Houston area. You can utilize the Kingwood park-and-ride lot, which allows you to leave your personal vehicle in a secure lot while using the METRO system. Real estate in Kingwood is fairly expensive, especially when compared to property values throughout Texas. Rent is also slightly above the state average. Many of the homes in Kingwood are large and situated on spacious lots, often featuring grassy backyards and large shade trees. Our lowest priced units in Kingwood, TX average $30.40 per month. 278 people have reserved units in Kingwood, TX in the past 30 days. There are 5 locations within Kingwood, TX's city limits. There are 5 locations in Kingwood, TX that offer AC and Heating features.